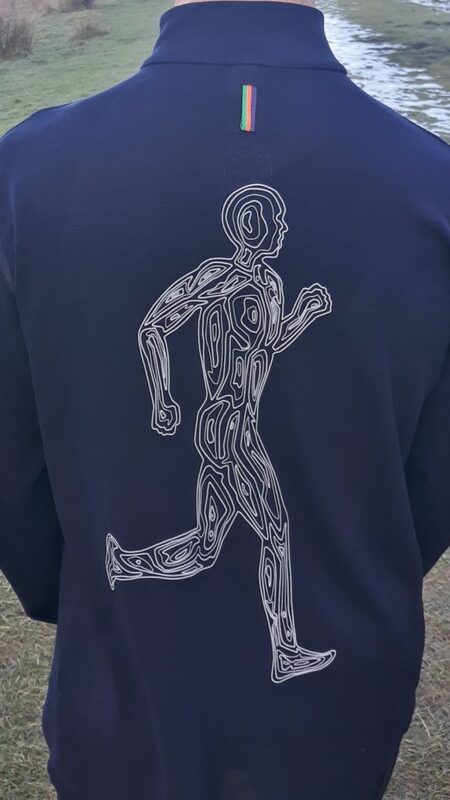 Some items of running kit just ooze class and the Iffley Road, Thorpe long sleeved running top is one of them. 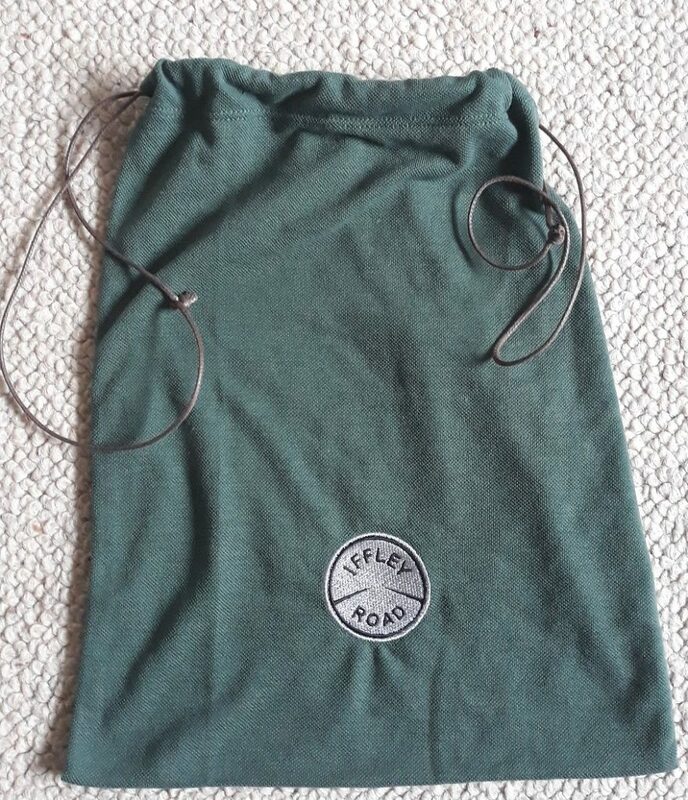 I could tell this straight away when I opened the packet to find a cloth, drawstring bag containing the top – no cheap plastic packaging here. Made from 100% Merino wool the Thorpe top looks great, its classy features include a large printed design on the back in the shape of a running man (the top is also available without the design), a high neck zip with the Iffley Road logo on the zip pull, long cuffs with thumb holes and a small, discreet pocket on the lower side hem that is just big enough for a car key or gel. 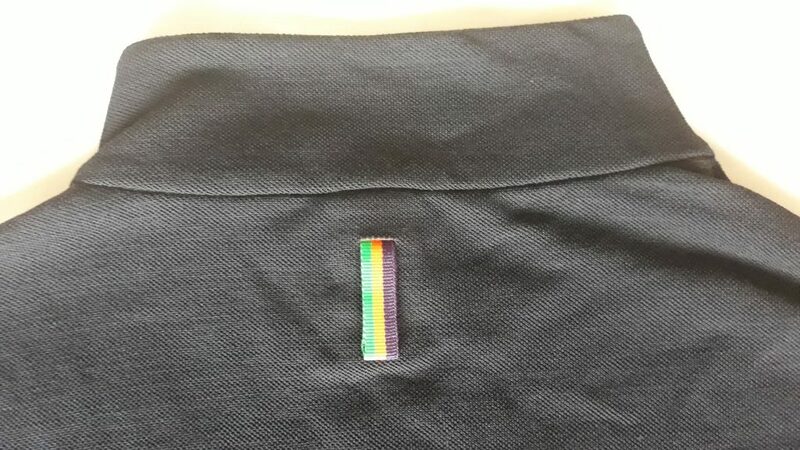 A neat little hanging tag on the back adds a touch of colour to contrast against the black of the shirt (it is also available in Damson or Granite). 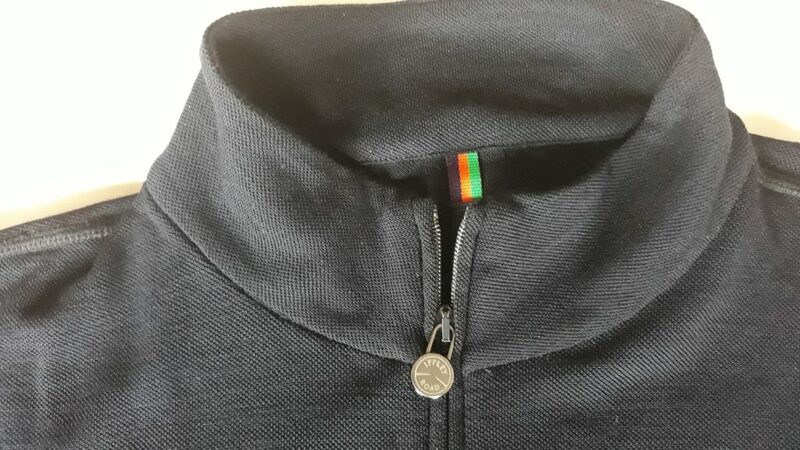 The Italian Merino wool felt soft and comfortable against the skin and the fit is generous enough to allow it to be worn over a base layer in colder conditions. 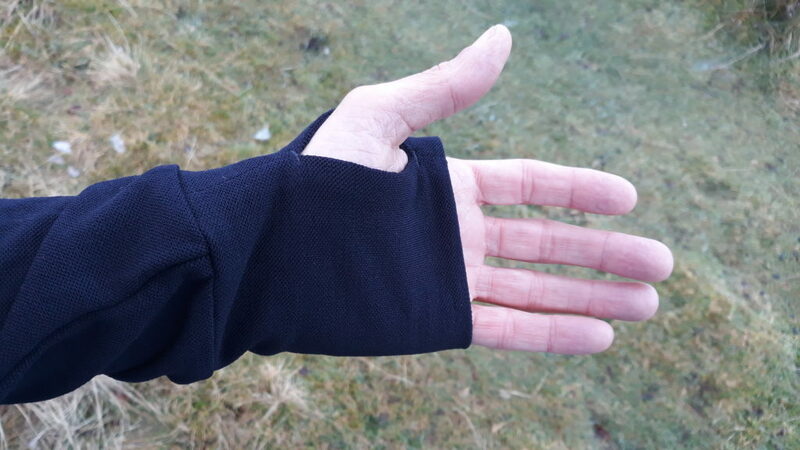 The properties of Merino wool are well known; warm when it’s cold, cool when it’s warm, highly wicking and resistant to odour making it an ideal top for a range of conditions. I haven’t had chance to test it in warm weather but it feels great on chilly winter days. 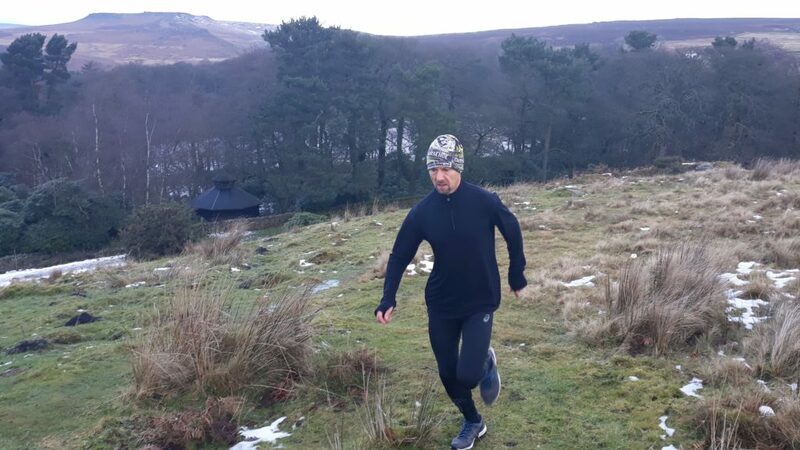 The Thorpe is the kind of top you could wear pre, during and post run and look good in all three situations. 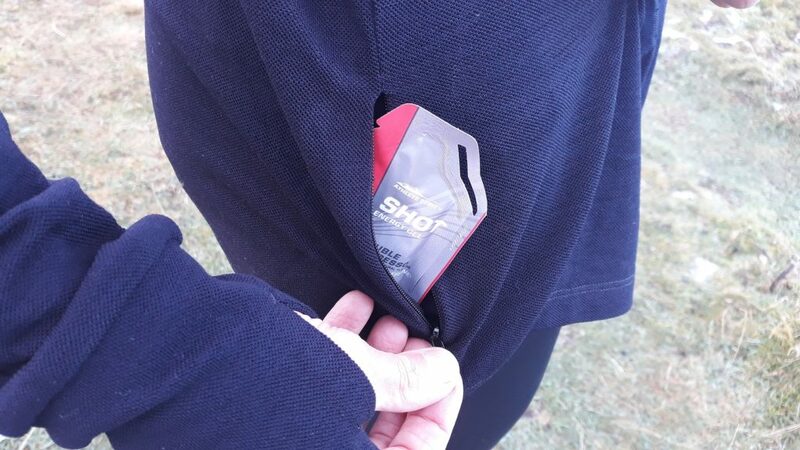 I’ll certainly wear mine socially, it’s just too stylish to restrict it to running! Iffley Road is a small UK company run by a husband and wife team both of whom are keen runners. 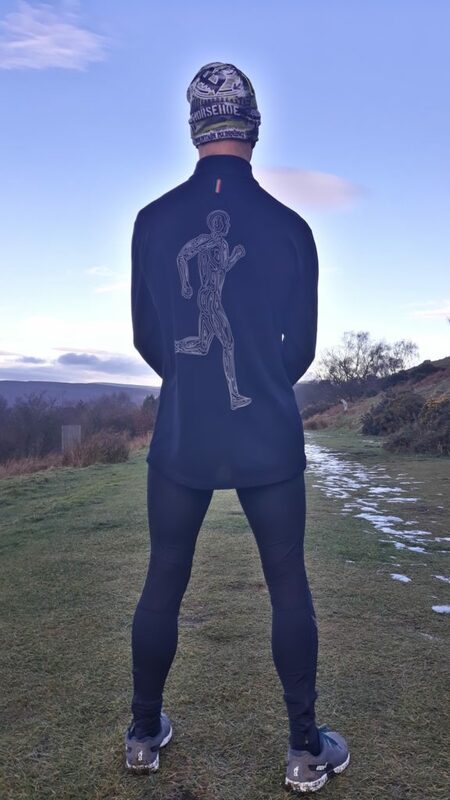 It is an upmarket brand and so their clothing isn’t cheap, but it makes a refreshing change from the man made fibre running kit mass produced in the Far East. So if you want to treat yourself to a little running luxury take a look down Iffley Road. luxury running in Iffley Road!